Matty George grew up in a garden. He was fascinated by trees… and insects. He took little creatures to school in a box to show his classmates. 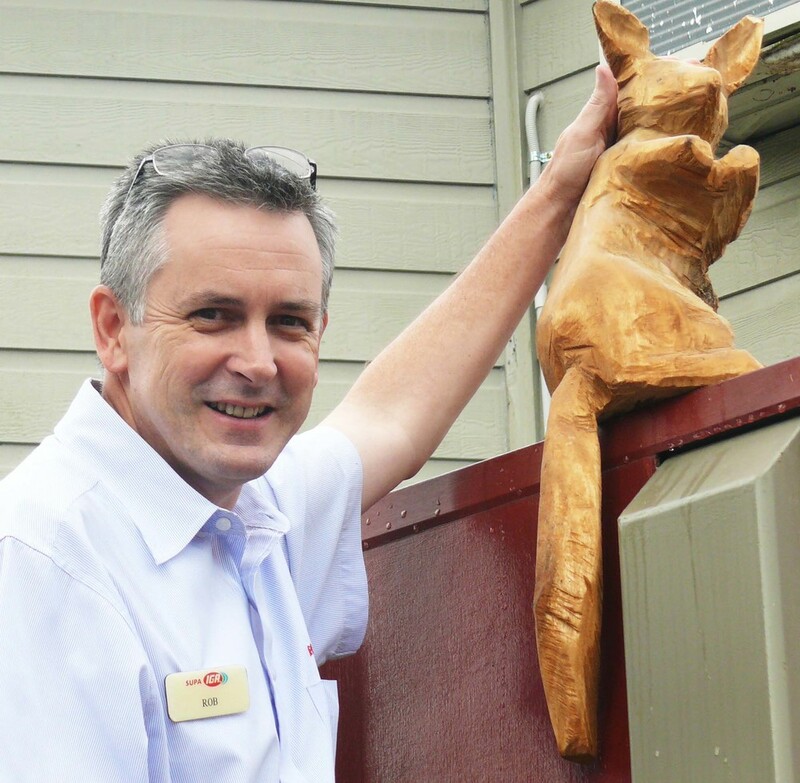 Now in Maleny, Matty has introduced himself to many of our town’s creatures – both great and small. He knows which horses live where, the possum habitats and the little communities living happily in his back yard. 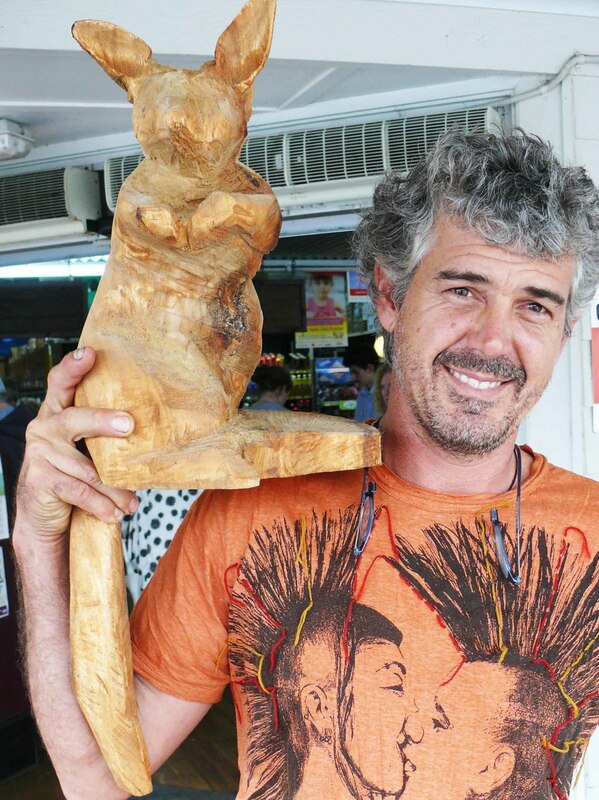 After buying a carving chainsaw a few years ago, he took it to pieces of recycled timber and started creating an array of wonderful items – mushrooms, totem poles, even furniture. Then a possum popped out! “I look the possum to Simon at Watson’s Garage” Matty explained. 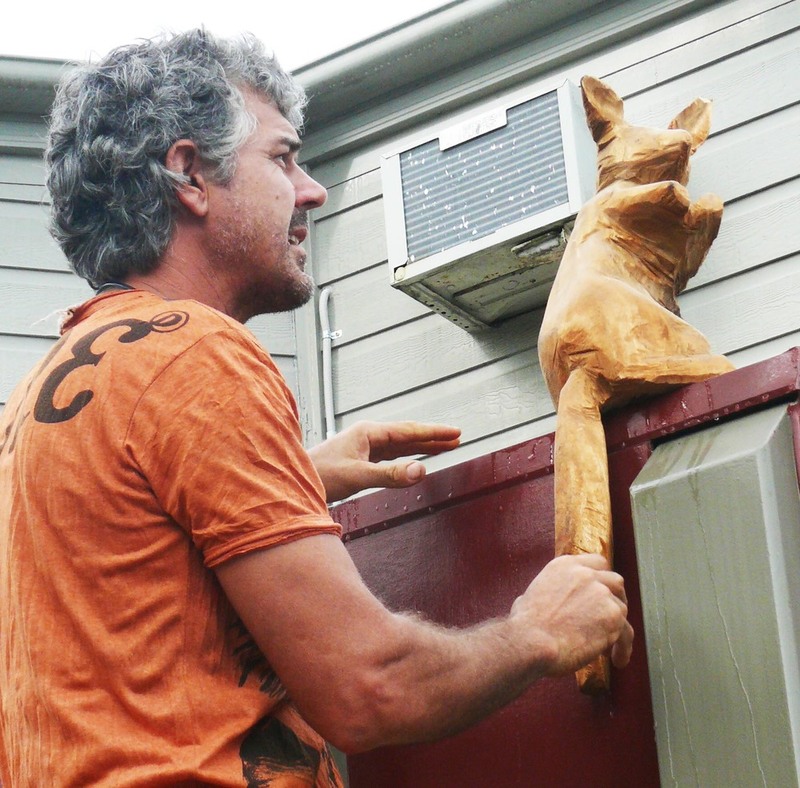 “He loved it and said ‘Make me one!’” So Matty’s first possum found its home above the garage where all passers-by could see it and the children playing in the park across the road could enjoy the little fellow peering out from his permanent position. Matty’s dream is for people to have animals on their mind when they drive through town, when the children come home from school. For visitors to be surprised by the little faces peeking out from the rooftops of Maleny’s main street. A little possum called "Malcolm" has just taken up residence atop Maleny Supa IGA, just above the main entrance. “I was telling Samantha Outridge about my dream to have animals on the rooftops for children to enjoy and she said yes straight away. “I wanted to install them first in places that are Community hubs so IGA is a perfect spot. Other businesses are waiting to see them go up before they commission one, but I’m sure we’ll have many more little friends appearing before long. These are animals that are close to people’s hearts and connect them through conversation. All the recent carvings are from recycled wood from the latest cyclone. Matty makes them from images in his mind and a sketch beforehand. Matty’s dream for Maleny by Maleny Supa IGA is licensed under a Creative Commons Attribution-NonCommercial-NoDerivs 3.0 Unported License. Based on a work at http://www.malenyiga.com.au.